Critical round up: what does the world think of PlayStation VR? 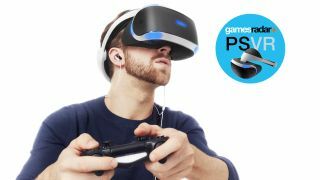 PlayStation VR officially arrives on October 13 but reviews of the gear and games are live now. You can read our very own PlayStation VR review, and check out a round up of the best PlayStation VR games but don't just take our word for it, let's see what the world at large thinks. "In terms of providing the technical aspects of an immersive experience, PlayStation VR is mostly very impressive. There is almost no noticeable latency or lag, and for the most part, the camera tracks the movement of your head and controller well. With some of the more physically demanding titles – especially Job Simulator – the single camera can lose sight of your hands making it almost impossible to carry out certain moves." "PlayStation VR is ridiculously comfortable. Your average virtual reality headset is strapped on like a ski mask, which ensures a snug fit but can also squeeze your face unpleasantly. PSVR, by contrast, has a padded plastic ring that rests on your head a bit like a hard hat. To put it on, you’ll push a button to loosen the sides, stretch it over your upper skull, and fine-tune the tightness with a dial on the back. The screen is anchored to the front of the ring, where it almost floats in front of your face. Another button lets you adjust the focus by sliding the screen in and out, which also means it fits easily over glasses." "If you buy one, it’ll run you $400 for the headset, or you can opt for the $500 bundle, which includes a couple of Move controllers and a PlayStation camera. At $500, PSVR is indeed a more affordable option than the competition. The Oculus Rift costs $600 and will cost even more once its Touch controllers launch later this year. The HTC Vive, which comes with its own handheld controllers, costs $800. Moreover, the Rift and Vive both require powerful gaming PCs that can cost two or three times as much as a PS4, if not more. But let’s not kid ourselves: A relatively cheap VR headset is still awfully expensive. You could buy a new gaming console for $500 and still have enough cash left over for a few games." "For the longest time I believed it was witchcraft that made the PlayStation VR work. Having taken one home and set it up, I’ve discovered the truth: it’s all about cables. Lots and lots and lots of cables. And then some more cables. The setup process, to be fair, sounds trickier than it actually is. The whole process took around 30 minutes, feeding a series of HDMI cables from the PS4 to the PSVR processing unit, then to the headset itself. While the processing unit adds no power to the console itself, nor can developers actually program anything into it, it handles a few key functions. Firstly it helps carry out object-based 3D audio processing, which basically means you can pinpoint exactly where noises come from in games. It also displays the “social” screen, rendering the image you see in VR onto the TV, though at a lower resolution and framerate. It also displays the standard PS4 screen in “cinematic” mode, allowing you to play non-VR games or watch movies on a display the size of a movie theatre screen." "In the manual, Sony says you need approximately a 10 by 6 foot area (about 3 by 2 meters) needed for play, but I was able to get it working fine in a space only about 7 by 4 foot (about 2 by 1.5 meters). The PSVR seems relaxed about how much space you need, and even a few square feet of floor space could end up working for a handful of games." "The end result is a presentation that's somewhat blurrier and a touch more constricted than the competition, but curiously, PlayStation VR actually has less of an issue with the off-putting screendoor effect seen on other headsets. Discerning and focusing on individual pixels is actually rather difficult. In common with all VR solutions right now, the presentation is very soft, but aliasing from the lower resolution is actually just as much a software challenge as it is hardware - several titles in the launch line-up exhibit few 'jaggies' on the display. Hustle Kings, TumbleVR and Danger Ball (one of the VR Worlds mini-games) in particular just look great - examples where good anti-aliasing makes all the difference. On the flipside, titles with bright colours and hard edges - Rigs springs instantly to mind - can show some very obvious artefacting."